Hello fellow viewers of the 24 podcast, I am Joel Wood, your resident #bringbacktony President. I’ve guest hosted on 2 episodes of the Podcast and have been an avid follower of 24 since Season 3 of the show. I will be contributing a weekly piece called the Official 24 blog. Now as all you listeners of the podcast know, I usually guest host after Josh and Mark give their views on each season and give my unique perspective on the happenings of each season and i’ll try to keep each blog within the confines of what’s been reviewed so as to not give too much away. So what I will do on this opening blog is give a LITTLE insight in to 24: Season 3 as sort of a preview for my guest spot on the next podcast. 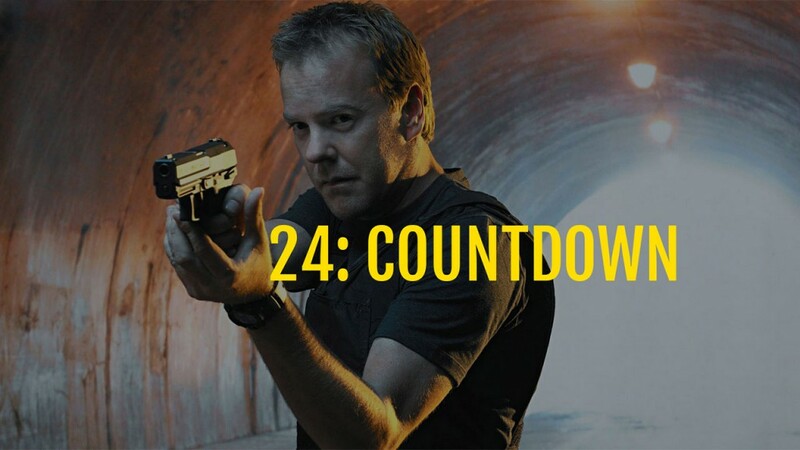 24: Season 3 was a breakthrough season for 24 in my opinion. In 24 Season 1, it was very personal for Jack Bauer and Senator David Palmer. You didn’t hear much from the other characters except Nina and Jamey who were moles and Tony Almeida who turned out to be a pretty good guy. In 24 Season 2, you got your first glimpse in to now President David Palmer’s staff. We had intertwining storylines with Lynne Kresge, Mike Novick, Roger Stanton, Eric Rayburn, Vice President Prescott, to name a few. However on the CTU side we really only got to deal with Jack, Tony, George Mason, and the arrival of Michelle Dessler. However in 24 Season 3, the roles were reversed. We got limited exposure to President Palmer’s staff outside of Aaron Pierce and new chief of staff and David’s brother, Wayne Palmer. On the CTU side, however, we finally got to actually know the CTU staff. In Seasons 1 and 2 we had a very limited access to CTU outside of moles and people we thought were moles. 24 Season 3 set the foundation for the next 5 seasons in my opinion. Let’s take a look at some of the CTU staff. Tony Almeida: He was Director of CTU at the start of Day 3. He was married to CTU agent Michelle Dessler. He, besides Jack, was the ranking member of the CTU staff who was on board from Day one. Tony was shot at the beginning of Day 3 and by the end, had committed treason but saved lives. Michelle Dessler: Special Agent and Tony’s 2nd in command. We got to see a very emotional arc from her at the Chandler Plaza hotel. Her emotions as she was trying to deal with the outbreak was phenomenal. The relationship between Michelle and Tony was one of the main storylines from Day 3. Kim Bauer: Yes, THAT Kim Bauer. Jack brought his daughter on board CTU so she would be safe but learned very quickly that wouldn’t be the case. It was revealed early on that Kim was involved with Field Ops agent Chase Edmunds and routinely bumped heads with Adam and Chloe. She would eventually get her own storyline as well as CTU used her to double as Jane Saunders so they could capture the real Jane Saunders to use as leverage against her father, Stephen. Adam Kaufmen: The know it all CTU analyst, who some would compare to Edgar Stiles from later seasons. Adam would appear in 23 of 24 episodes and even suffered his own emotional trauma after learning that his sister had been affected with the Cordilla virus. Gael Ortega: Ortega led everyone in the opposite direction through the first part of Day 3. After secretly aiding the Salazars in abducting Jack, Gael was captured by Michelle and labeled a traitor. After Tony learned of this, he rushed out of the hospital and back to CTU just before Ryan Chappelle could force Gael to talk. Tony then revealed that He, Gael, and Jack were working undercover to stop the virus. Gael would later die as a result of being exposed to the virus. Chloe O Brian: Finally we get the arrival of Chloe. Based on Jack almost firing Chloe early in Day 3, who would’ve thought that Chloe would be Jack’s closest confidant for several years that followed. She was the best analyst they had, but she wasn’t really used for storyline purposes outside of the baby fiasco but you knew, Chloe was here to stay. Chase Edmunds: And then there’s Chase. I was kind of disappointed he only lasted one season. I felt like he could possibly take over the 24 franchise when Jack Bauer finally retired for good. He was Jack’s first partner Season wise(it was revealed through books that Jack had other partners before 24 began), and you respected Chase because he was man enough to stand up to Jack. He respected Jack more than anyone and it was that respect that led him to speak up on more than one occasion. He dated Kim through out the season, got tortured by the Salazars, and lost his hand temporarily but Chase proved, much like Tony proved in this season, that he is more than capable of taking care of himself. Well there you have it. Issue #1 of the Official 24 Blog is complete. Of course there’s a lot In Season 3 that wasn’t discussed storyline wise but that’ll come when you listen to The 24 Podcast. Download it on ITunes if you haven’t already. I will leave my contact information at the bottom. Feel free to contact me on all things 24 and give feedback on the Blog so until next time My name is Joel Wood and this is the longest day of my life.